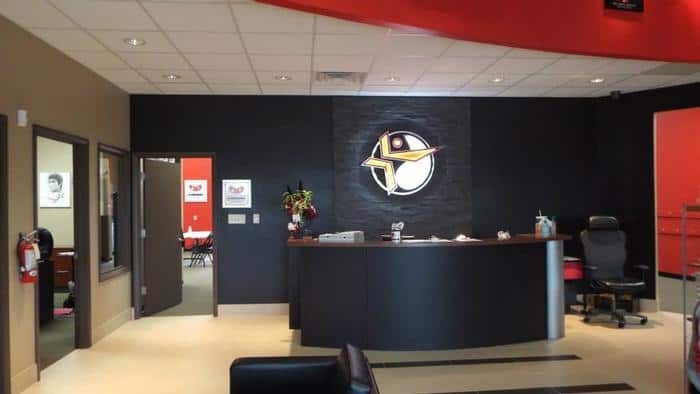 KSW teamed up with a former Power Ranger stuntman to renovate this state-of-the-art space for a martial arts studio. With just over 6,600 sq. 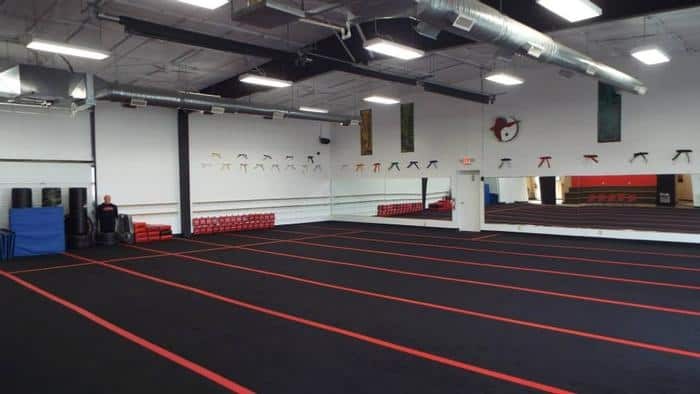 ft. of space for karate, kick-boxing, martial arts and self –defense, taking approx. 6 weeks to complete. New windows give the welcoming reception area clear natural light featuring shelves, racks and display areas. 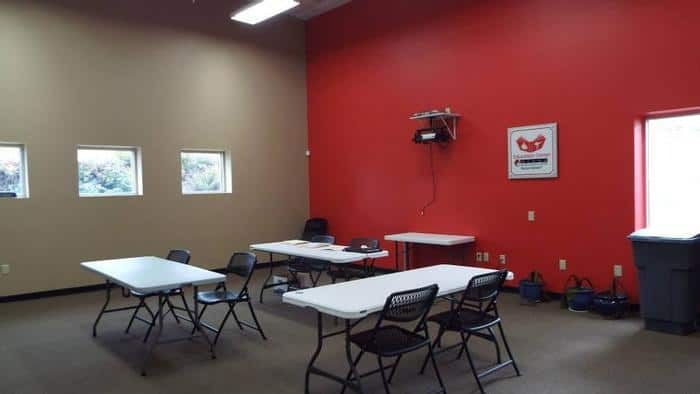 The gym zone has an encouraging feel with boxing dummies, mats, wall lined mirrors and exposed windows. 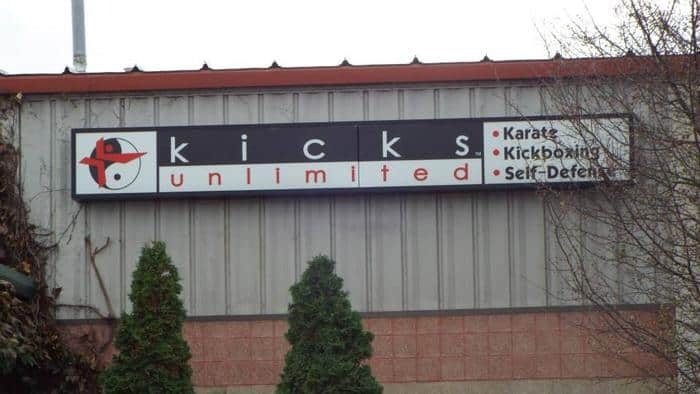 Kicks Unlimited offers classes for all ages beginning at 4 to adult. Teaching confidence, coordination and its great exercise too!